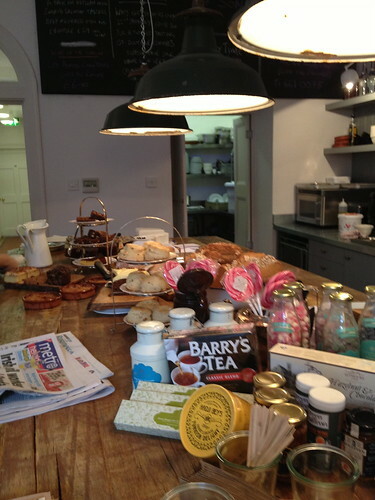 I had first read about Hatch & Sons in a weekend supplement of the Times in an article about running a successful food business in Ireland. 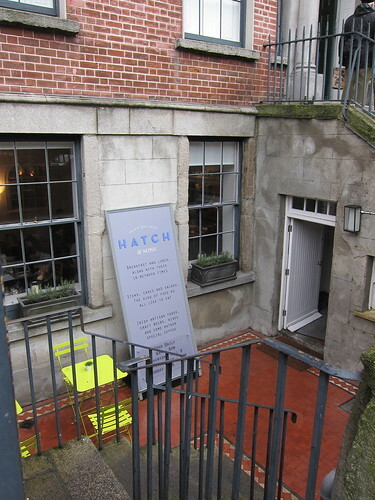 We then walked past the actual premises whilst on our way to dinner at the Cliff Townhouse and I made a mental note to head back for a bite to eat the next time I was in town. I popped in this week for a spot of lunch and worried that there may be a lunchtime rush, made sure I got there before midday. 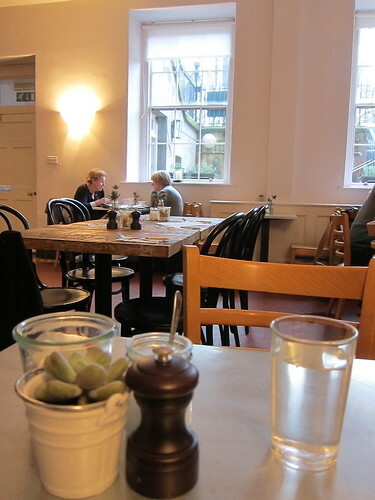 To my surprise, there were only a few tables being occupied so there was no problem with getting a space (there were a steady stream of customers during my time there but the staff were never in danger of being flat out). 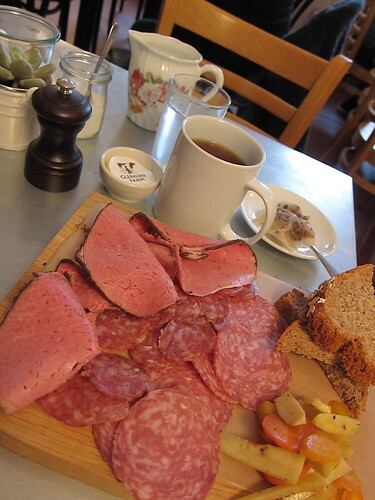 There were lots of tempting things to eat on the menu and in the end, I settled for a meat board and mug of tea. All in all, pretty good stuff and service (which started off ropey.....why else would I be standing at the doorway other than wanting to come in and eat??) was pretty good. My only gripe would be that someone who appeared to the owner was on the premises conducting a business meeting. Whilst I have no problem with this, what I do find irritating is bosses then lurking around the dining room (like in Bite) and worse still, checking their mobile phone in full view of paying customers. Get an office!! My meat board of spiced beef, chorizo, salami, roasted roots and soda bread. The meats were delicious despite the chorizo not having the usual vibrant paprika colour. The roots were a nice accompaniment but I would've expected them to be more roasted. Soda bread was not the best I have tasted but it was fresh and home-made. 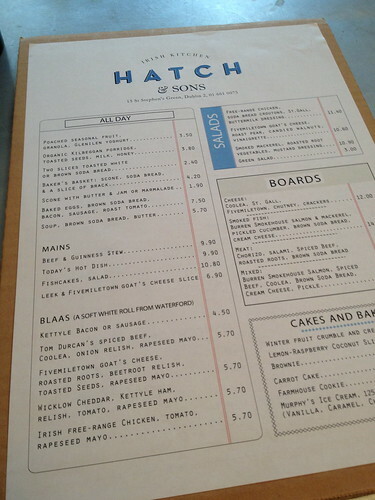 After my visit, I found out that Hatch & Sons are part owned by the Kemp sisters, Domini and Peaches of Itsa Bagel fame. According to my "source", they run a very tight ship at Itsa Bagel therefore I can only assume that Hatch & Sons will be given the same treatment.